Wednesday Winding up to the Opening of NAISC Tomorrow! This is my second day in Boston. The day started with a beautiful cloud free morning and a great meeting (always too short) with the 21st century curriculum and technology task force. We are working on the name but that is who we are at the moment. What a great group of passionate educators! I am honored to be a member of such a group. This year my Wednesday of the conference was very different as I am also orchestrating the construction of the NAIS interactive makerspace. This means that the rest of Wednesday was spent setting up this makerspace. It also means that I was not able to make the rounds to all of the other cool workshops that took place today. So, if you attended any of these, have pictures or want to submit a blog or reflection, please do so and send me the text or the link to your post and I will make sure we get it posted here as well. Any pictures and video would also be awesome! The NAIS MakerSpace project has been fun to think about and it is great to see it come to life. I must make a HUGE shout out to Jonathan Schmid and Chris Lindsey from the Meadowbrook School of Weston MA for their help today and for being so gracious to supply much of the 3D printing, robotics and cool student projects. Others from Meadowbook will also be working the space over the next two days. They will be joined by individuals from other schools who are amazing educators who are passionate about the world of “making” as a way of learning. The NAIS MakerSpace will be a place you will want to visit and experience multiple times over the next two days. There is much to see and do so make sure you swing by. Here are a few images I was able to capture during the day. For those who missed the “Brisk Walk Through” of the Exhibit Hall, here is your chance to see what the hall looked like about 24 hours from opening. What a transformation it will be! 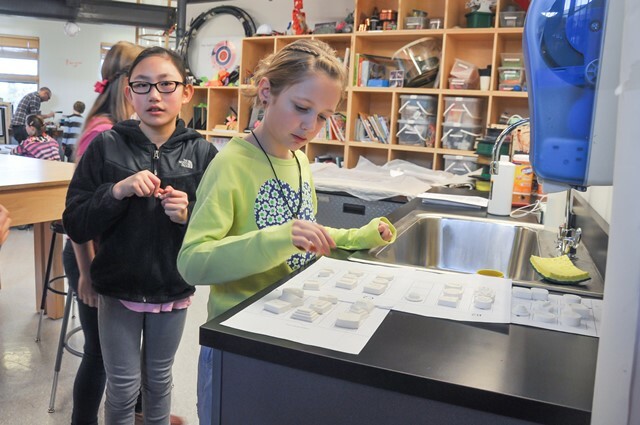 As you sit by the fire dreaming of warmer weather and waiting for your plane to take you to Boston for the 2015 NAIS Annual Conference, take some time and read through the 20 schools that have submitted entries for the Gallery of Independent School Makerspaces. All schools have been invited to submit materials to be included in this gallery. While the gallery will help feed conversation at this year’s Annual Conference and the new Interactive Makerspace outside the NAIS Bookstore in the conference exhibit hall, it has been designed to live on long past the conference. The site is full of wonderful information about how each school approaches the collaborative, multidisciplinary, problem-based learning approach that is taking the nation by storm- Making and Makerspaces. The site is rich with stories, examples, photos, tips and resources that will help other schools explore how the world of “making” can fit into their schools. If you are interested in learning more about the maker movement and bringing “making” to your school, make sure you visit the Interactive MakerSpace in the exhibit hall. Girls Can Make Stuff Too! Maker education provides both boys and girls with the opportunity to learn dexterity, ideation, teamwork, and have fun while solving problems and building creative confidence. As an independent school administrator and educator leading the Learning Innovation Institute at The Ellis School, I have worked with faculty and our innovation fellows to build a “maker culture” at our all-girls PK-12 school that is infused across all levels/disciplines. Many of my peers that work at co-ed schools tell me they struggle with engaging girls in maker projects, computer science courses and engineering classes in upper school. What is important for all kids, but especially girls is to help them build creative confidence. Within a maker culture, girls can achieve creative confidence through maker empowerment: a heightened sensitivity to the made dimension of objects, ideas, and systems, along with a nudge toward tinkering with them and an increased capacity to do so. By ensuring girls have the opportunity to make and tinker we can ensure they build/practice their creative confidence today so they have the confidence and perseverance to pursue STEM majors in college and beyond. Ellis Girl Liz from the Girls of Steel Robotics team with the robot they made named Watson. More than two years ago we launched “Innovation Stations,” located in all classrooms in the Lower School and in common areas in the Middle and Upper Schools with the goal of providing girls a place to explore and tinker in a non-threatening way. From building wind turbines, to using the Makey Makey to write music and program Hummingbird Robots, Ellis girls are having fun while making. Right now our Middle School Innovation Station is featuring an activity where the girls build an origami character that has LEDs and Motors (using the Invent-abling kit) and then write a short creative writing piece about the character, take a picture of their character and post it to origami gallery. This activity incorporates literature, arts and STEM. Tinkering is a powerful form of “learning by doing,” an ethos shared by the rapidly expanding Maker Movement community and many educators. Real science and engineering is done through tinkering. 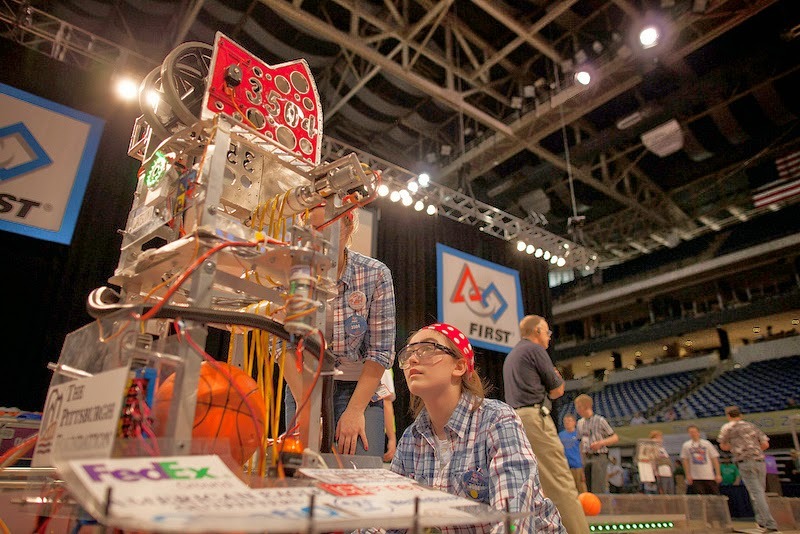 We also run an after-school program for MS girls called Tinker Squads. In our Upper School engineering design class the girls recently worked on an artificial limb lab. The three Ellis faculty who co-teach the class mentored small teams of 3 to 4 students as they defined problems people with disabilities face, gained empathy for people facing these disabilities through personal stories and research, and then designed multiple iterations of designs within Autodesk Inventor, the MakerBot Replicator 3D printer, and manual use of tools to make prototypes. The teams then printed final parts on the 3D printer and presented them to the class and an internal panel at Ellis. Projects included the “RecFin,” an assistive swimming device for people with a limb loss below the knee, the “Triple Threat,” an assistive hair-tying device, the “BAZAD,” a button and zipping assistive device and the “Hold Tight,” a device to help grip small objects. In their roles as city planners, the Ellis second grade students made decisions about the placement of their newly constructed services in the Central Business District, city or suburban neighborhoods or outlying areas as a part of the Metropolitan Community Project. They took into consideration such issues as aesthetics, usage, space restraints, noise, and pollution. The girls also gave special attention to green building and planning. The girls worked in cooperative learning groups to design and construct streets, bridges, tram, tunnel, incline, parking facilities, signage, parks and recreational spaces. As neighborhoods and services sprang up, the girls positioned their single-family homes as well as the town houses, apartment houses and duplexes they made with a partner. Fourth grade girls also recently designed scenes from the book Poppy using the Hummingbird Robotics kit in groups of three to make scenes come alive. The Active Classroom and the “CoLaboratory” was designed and launched with assistance from our students last school year. The Active Classroom and “CoLab” project combines innovative teaching methods such as the flipped classroom, design thinking and maker education into physics and engineering courses. We have created new curriculum where the lectures are predominantly online and class time is spent in groups where students collaborate to define and solve problems through hands-on experiments and making. We intentionally build in time for our girls to gain empathy for each other, others in our community and others across the globe all while developing risk-taking and perseverance to solve challenges. The Active Classroom model was so successful at our school, we have since shifted several more courses/classrooms to this model. Maker education strengthens girls’ capacity for problem solving, collaboration and builds creative confidence. Our research over three years has shown 25-30% gains in engagement of girls enrolled in STEM courses when the focus is on active learning that includes design and making. Additionally, enrollment in computer science and engineering courses increased by a factor of six. Making is a position on learning that puts girls in charge of their learning – in many cases this requires a cultural shift on how learning is approached in schools. Starting out doesn’t need to be expensive. While a Maker Space is great, it’s not required to incorporate more “making” and problem-solving into your curricular program. Read Invent to Learn and check out the website for some great resources to get started with Maker Education. To learn more about Maker Education join the weekly Twitter Chat that takes place on Tuesdays at 9 PM EST using #makered hashtag. 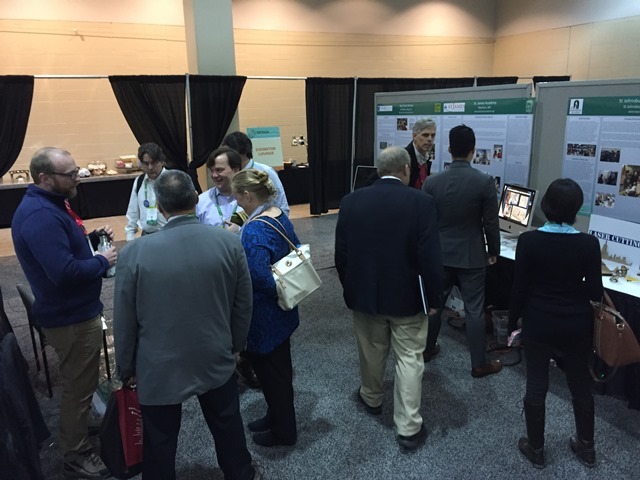 Visit the MakerSpace at the 2015 NAIS conferences near the Expo Hall to see demos, talk to educators within NAIS schools who have embraced the maker mindset and see posters that showcase maker spaces. This year we will have an interactive makerspace in the exhibit hall just outside the NAIS Bookstore. 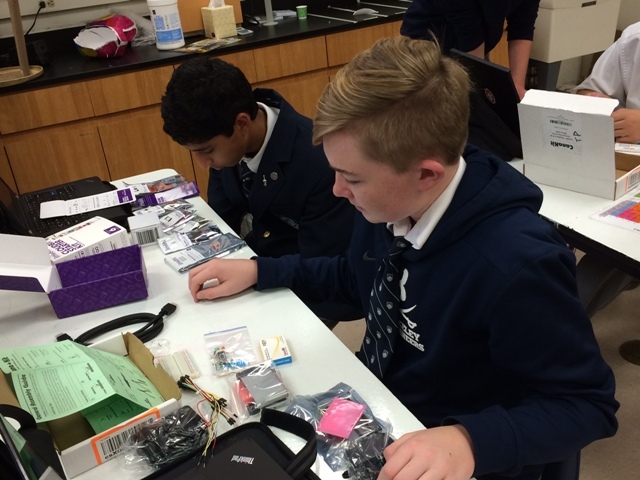 Additionally, we are starting to assemble a gallery of independent school makerspaces. 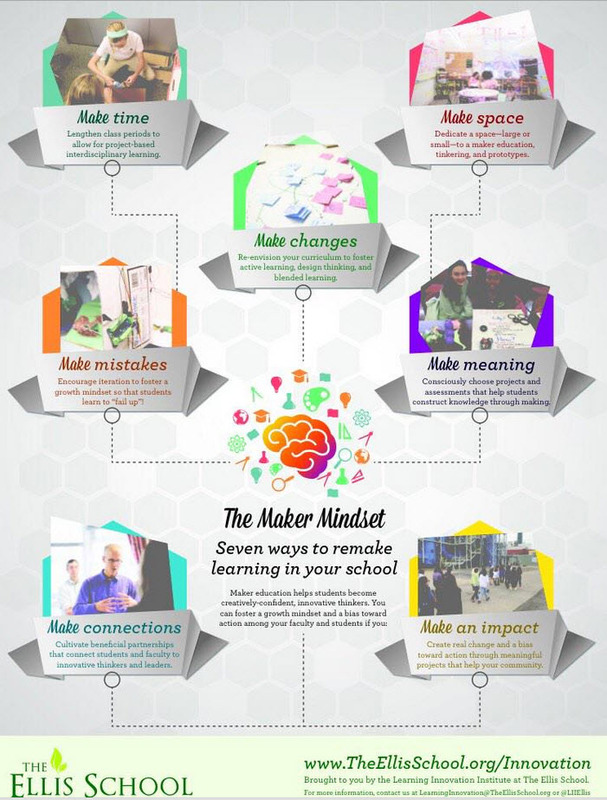 Some of these will be highlighted in posters at the annual conference in the interactive makerspace. However, they are also being placed online to create a resource for all schools as we celebrate the innovative spirit in each of our schools. Students have also taken to the Raspberry Pis because of the idea of getting to build and design their own mini-computer. You can join Berkeley Preparatory School and University Child Development School in the Independent School MakerSpace Gallery. If you would like to add your school to this gallery, simply follow the directions and complete the gallery submission form. You can view the first entry into the Gallery of Independent School Maker Spaces submitted by the University Child Development School in Seattle, Washington.